Some two decades after immigrating to the United States in 1919, Igor Sikorsky’s aircraft company built America’s first mass-produced combat helicopter, the R-4. It and the follow-on R-6 were the only helicopters to serve in World War II. The Apache and Black Hawk are still in production and are expected to remain in active service at least through the mid- to late 2030s. Although a bit boxy in appearance compared to the modern Boeing AH-64 Apache or Sikorsky MH-60 Black Hawk, there are more outward similarities than differences. The biggest differences are largely internal, with the current fleet boasting far more advanced weaponry, sensors, communications, and survivability. combat radius 320 nautical miles (368 miles). combat radius 260 nautical miles (300 miles). weapons load: M230 chain gun with 1,200 rounds and four pylon stations on the stub wings to carry Hydra 70 and AGM-114 Hellfire air-to-ground rockets or AIM-92 air-to-air Stinger (ATAS) missiles (the Longbow variant also has a station on each wingtip for an ATAS twin missile pack). weapons load – AGM-114 Hellfire anti-tank missiles, ATAS, Hydra 70 rockets, M296 or M3P .50-caliber machine gun. The Apache and Black Hawk are still in production and are expected to remain in active service at least through the mid- to late 2030s. Upgrades to incorporate new technologies and enhancements will be made during the next quarter-century to maintain the combat edge those platforms currently provide. The last new Kiowa Warrior was delivered to the U.S. Army in 1989. A planned cockpit and sensor upgrade is under way to extend their design service until 2025. One thing none of those upgrades will do, however, is make the Apache, Black Hawk, or Kiowa Warrior any faster. Compared to almost any other transportation system, helicopter speed has seen only modest increases in seven decades of military service. The R-4 had a maximum speed of 75 mph (65 knots) and a cruise speed of 65 mph (56 knots). Three generations of pilots later, the average speed for Army combat helicopters is about 120 knots (138 mph) and the world speed record was set in 1986 by a Westland Lynx at 217.5 knots (250 mph) – a record that stood unchallenged for nearly a quarter of a century. In the fall of 2010, however, two separate, internally funded “superfast” helicopters made their public debuts: the Sikorsky X2, which shattered the old record at 250 knots (287.7 mph), and, three weeks later, the Eurocopter X3, which also greatly exceeded the old record at 232 knots (267 mph), but a bit behind the X2. Sikorsky, which won the coveted Collier Trophy for the greatest achievement in aeronautics by an American company in 2010, took the X2 on tour for a year, then donated it to the Smithsonian. 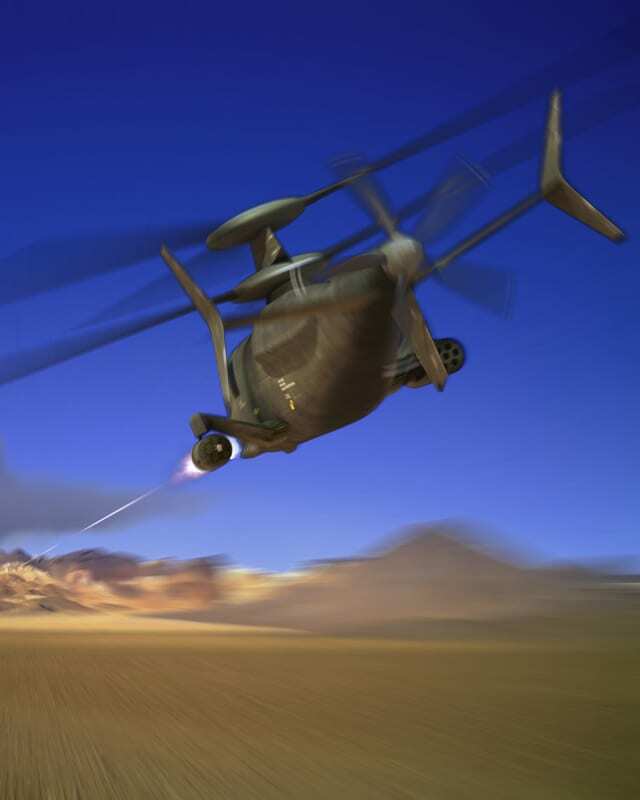 Meanwhile, Sikorsky engineers are transitioning X2 technology to a new helicopter – the S-97 Raider – set for first flight around 2013-14 and expected to be the company’s entry into competition for the U.S. Army’s next generation armed scout – a Kiowa Warrior replacement. The two experimental helicopters have demonstrated that a level of speed thought unlikely to be seen for at least two more decades is possible now. Eurocopter continued flying the X3 – including an appearance at the Paris Air Show in July 2011 – but by mid-September 2011, still had not been able to match the X2’s record. The two experimental helicopters have demonstrated that a level of speed thought unlikely to be seen for at least two more decades is possible now. But neither company has a customer – and some believe the X2 and X3 literally are ahead of their time. The world’s largest operator of military helicopters is the U.S. Army – and a superfast vertical lift platform is definitely part of its future plans. The same is true for the joint U.S. Special Operations Command (SOCOM). 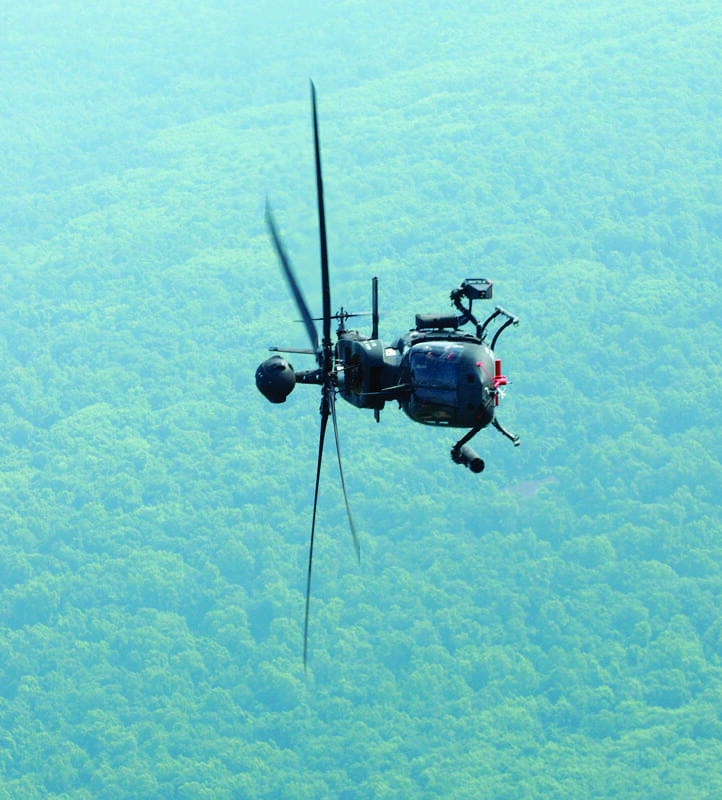 “One hundred and seventy knots is not enough,” Army Col. Douglas Rombough, SOCOM’s rotary wing program executive officer, told the Special Operations Forces Industry Conference 2011 in May. “We have to have a minimum of 200 knots capability. After you add all the things you like to add to the outside of that aircraft to make it shoot, move, communicate – with all the drag out there – we need to be proceeding to the objective at 200 knots or better. For the other services, super speed is seen as a nice capability, but not one they are willing – or able – to pay for in the current tight budget environment. “We’re always interested in new technology, especially proven new technology, but under our current plan and requirements process, are we at a point to pursue that? I don’t think so,” noted Col. Roy “Ozzie” Osborn, Branch Head of Marine Corps Aviation, Plans, Programs & Budgets. “A core requirement for us is it has to be shipboard capable, so it can operate in an amphibious expeditionary environment. Where the S-97 fits is a light attack role. We’re buying two fairly fast helicopters from Bell – the UH-1Y Venom and AH-1Z Viper – right now for that role and it would make sense to stay with that for the foreseeable future. The world’s largest operator of military helicopters is the U.S. Army – and a superfast vertical lift platform is definitely part of its future plans. In an effort to address the affordability issue, then-Secretary of Defense Robert Gates two years ago ordered the four DoD services to develop joint requirements for future helicopters. The result was a four-class set of joint multi-role (JMR) rotorcraft: heavy, medium, light, and ultra light. The Army special operations component of SOCOM already had begun a modernization of its helicopter fleet, due for completion in 2015, that fell roughly into three of those categories – the MH-60M Black Hawk, the MH-47G Chinook, and the MH-6M Little Bird, totaling 192 aircraft. The Kiowa Warrior replacement falls into the JMR-Light category, but with all the OH-58D’s lift capability. It also would answer the limitations of the current armed reconnaissance helicopter, including the Kiowa’s current inability to operate in 60 percent of Afghanistan’s rugged, high-altitude, and dusty environment. In military shorthand, that is the high-hot requirement. But Rombough added a long list of other requirements – a 150 percent increase in hover altitude, a 40 percent increase in payload, a 50 percent reduction in acoustic detection and turning radius, and twice the current mission speed and endurance. 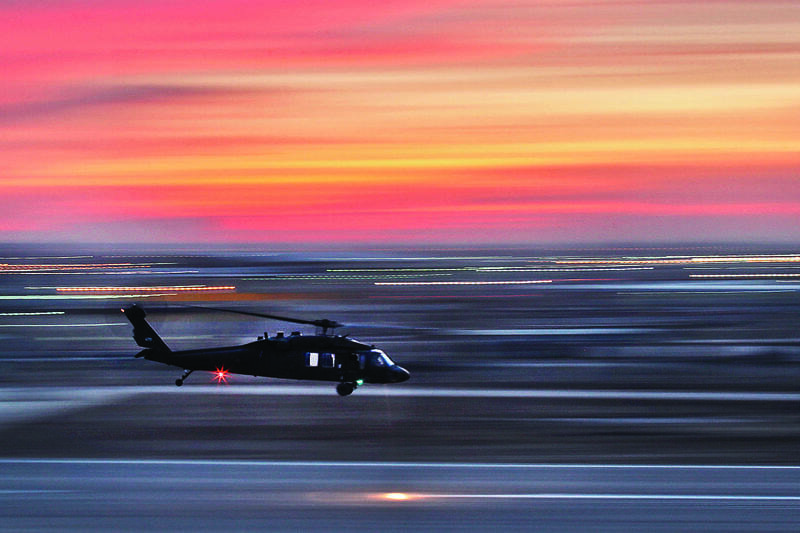 The JMR schedule for Research, Development, Test & Evaluation, (RDT&E, production) and acquisition does not foresee the Light variant entering service until around 2030 – a date crucial to the Army helicopter modernization and transformation schedule. And the Army schedule is important because no other service can afford a significant leap in helicopter technology unless and until the U.S. Army takes the lead with a large enough buy that economies of scale will make it affordable for those with far smaller fleets. Key to the Army’s determination of requirements and development of future capabilities is the Aviation Center of Excellence (CoE) at Fort Rucker, Ala., which is a focal point for aviation doctrine, training, materiel, logistics, etc. And for Center commander Maj. Gen. Anthony G. Crutchfield, an Apache pilot and veteran of the first Gulf War, the absolute timetable to bring a superfast helicopter into the Army fleet is 2035 – a quarter of a century after the record-setting flights of the X2 and X3. 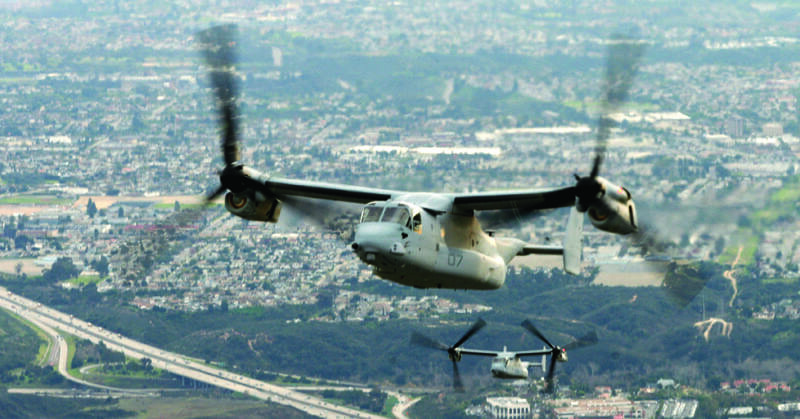 “There is a requirement for a long-term or future capability for a vertical lift airframe – and we don’t know it will be a helicopter – for speeds in excess of 200 knots. That requirement is based on current operations and needs of the force and also on what we anticipate in the future environment,” Crutchfield said. “But the airframes we have today, no matter how much money we put into them, won’t fly any faster. Reaching that point under increasingly tight budgets means taking a pragmatic approach to both the technology and the timetable. “First, we have to look at what technology exists today and what we think it will be in 2030. We can’t ask for something that is not feasible by that time frame. But we believe that aim point will get us to an aircraft that can go 200-230 knots or more, depending on how the airframe is built. Anything more than that, I’m not sure we can meet the 2030 timeframe,” Crutchfield said. For Mark Miller, Sikorsky’s vice president-Research & Engineering, the military’s timetable for a “superfast” helicopter is at least two decades too conservative. And in both his current position with one of DoD’s top rotorcraft contractors and his previous job as deputy vice president for engineering and advanced programs at the Lockheed Martin Skunkworks – home of many of the military’s most advanced “breakthrough” aviation technologies – Miller has a strong insight into DoD requirements and funding. “Of all the vehicles I worked on, from the F-22 to single-stage-to-orbit spacecraft to hypersonics, the helicopter presents some unique technology challenges,” he said. “We have been operating in this industry very much in an age of incrementalism. If you look at how a helicopter flies and its characteristics, it really hasn’t changed much in the last 50-plus years. “We could have waited for a challenge and funding from the U.S. military or continued on the path of incremental improvements to conventional designs. But we felt it was time to lean forward and do something creatively that would change the game in how helicopters are viewed and how they operate. The challenge was to take everything great about a helicopter – low speed handling qualities, maneuverability, low down operations – then add a dimension: speed. While both Skunkworks and the Defense Advanced Research Projects Agency (DARPA) often focus on bringing a specific new technology or capability to life – such as the F-117’s stealth or the F-22’s supercruise – both Sikorsky and Eurocopter knew record-breaking speed was not enough to win a military contract. They also had to meet – even improve on – all the current combat helicopter capabilities while adding other new innovations. For the X2, in addition to level flight sustained speed of at least 250 knots, the package included low vibration, low pilot workload, and low acoustic signature. Future battlefield requirements will depend on the type of enemy: non-state guerrilla/terrorists such as al Qaeda, rogue governments such as the Taliban or Saddam Hussein, well-equipped and more stable nation-states, or even near-peer militaries. “As an OEM [Original Equipment Manufacturer], Sikorsky is, first and foremost, a system integrator; bringing out the best of individual technologies and putting them together in a system is what we are all about. So we brought together fly-by-wire flight controls, coaxial rotors, pusher-prop, interactive vibration control, etc., and integrated those in the X2 to achieve all those elements,” Miller explained. The Army CoE’s requirements include speed, range, reduced logistics footprint, commonality of parts, lift capacity in a high-hot environment, endurance, survivability, and armed reconnaissance. Crutchfield said there is no real order of priority in those requirements – even the most crucial may be traded away if the technology to support it is not yet ready. Current and future budgets for RDT&E and procurement, as well as the priorities set by each new Army chief of staff, secretary of defense, Congress, and president, also affect new programs. And, as always, “the enemy also has a vote.” Future battlefield requirements will depend on the type of enemy: non-state guerrilla/terrorists such as al Qaeda, rogue governments such as the Taliban or Saddam Hussein, well-equipped and more stable nation-states, or even near-peer militaries. Equally important will be the terrain and environment – high-hot, snow-and-ice, jungle, desert, urban, at-sea, near shore, far inland, close to U.S. or allied bases, or dependent on fast deep insertion and support. “We still have work ongoing to define all the requirements associated with a joint multi-role aircraft. Our timeline brings an initial capability document into the Army staff next fall. That then would go up to the joint staff for their approval,” according to Steve Koach, the CoE’s science and technology lead. “It most likely would evolve into a joint program, but that is not likely to happen until April 2013; sometime after that, we would do the work leading to an RFP [Request for Proposals] and industry technology demonstrators. While the X2 was always intended as a superfast technology demonstrator, Miller believes Sikorsky’s transition of that and other advanced technologies into the S-97 Raider will be ready for that RFP – and more than ready for full operational fielding well ahead of the Army and joint force goal of 2030-35. “We met the performance attributes of the X2 – demonstrating the physics and all the key performance parameters without predetermining a mission. We were developing a suite of technologies, showing the package addressed any technical challenges we had seen earlier,” he said. Sikorsky believes the S-97 will “meet or exceed” the Army’s requirements and enable a shorter timeline to fielding. 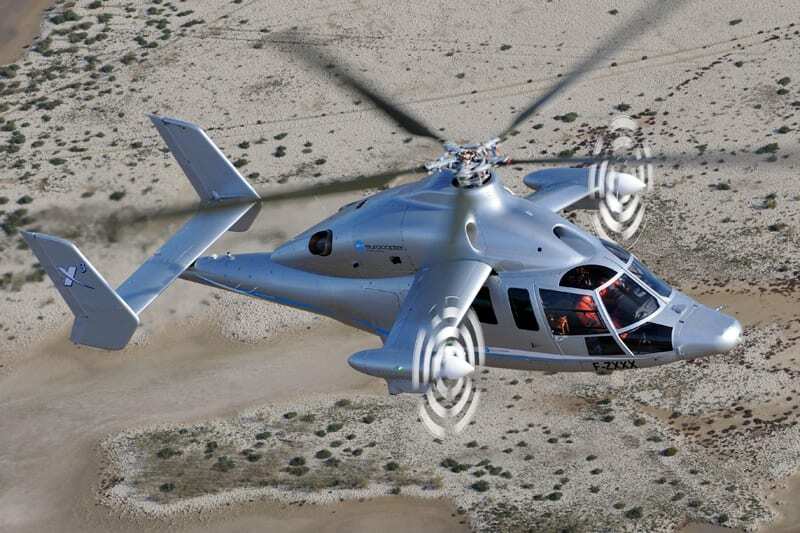 Eurocopter has stated similar goals for its X3, which, unlike the entirely new X2 compound platform, with coaxial main rotors and a pusher propeller, is a rotor/fixed-wing hybrid built on the Eurocopter Dauphin helicopter airframe. Whether either meets U.S. and European military requirements, the inclusion of superfast vertical platforms in the future air fleet seems inevitable. “You can’t fight a modern war with outdated equipment. When we go along this path to a future vertical lift, there will be tradeoffs. And I’m willing to do that to field something that is good enough, so long as it is modern enough to fight a future war,” Crutchfield concluded. “That is not the same as wanting something that is perfect and all the technologies required to make it perfect. This article was first published in Defense: Fall 2011 Edition. Fascinating story, great prospects and directly related to my book “How the Helicopter Changed Modern Warfare!.